Join the 26th Annual Trivia Challenge hep by Project Read! 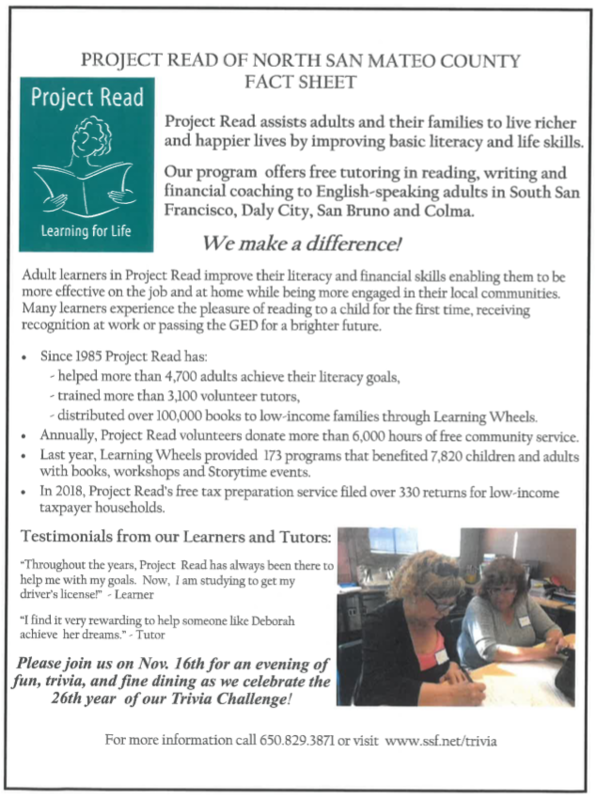 This event raises funds to support tutoring and other programs, having a focus on adult literacy. The evening will include a silent auction, raffle, appetizers and beverages. Those who don’t want to compete can stop by and cheer on their favorite teams. Donate merchandise and gift certificates to be raffled or sold. To sign up, email the Chamber today to receive the application packet, OR give Project Read a call at 650-829-3871.